priorities – Torah true mothers, living life together. I’m writing this article 1.5 weeks prior to Purim. For the past number of years my mantra in managing household finances has been “I’m learning. This is a journey.” This year, my second year making a seuda in addition to prepping shalach manos, purchasing costumes, and matanos l’evyonim, I’m particularly aware of the inherent costs wracking up. And while I gladly accept the opportunity to be mehader the mitzva, I do still want to keep my expenditure in check. Well, inspiration is borne of experience, and that is why I’m going to share with you the lessons I’ve learned over the years, and perhaps you’ll stow them away for next year. I know I will. One of the most widely accepted strategies for buying lower priced costumes is to purchase them in late October / early November when they’re put on sale to clear. But what happens if you don’t know five months prior to Purim what your kids are going to be dressing up as? Ebay. Did you know that you can order kids’ Purim costumes for under $11 on Ebay, including shipping? Just search “kids costumes” and hit lowest price + shipping from their drop down menu. Second hand and thrift stores often have costume stock that’s stored in a back room until October each year. Either purchase around then, or ask off season if they’re willing to pull them out for you to browse through. Picking up a teddy bear costume for $3 in perfect condition? Yes please! If you’re lucky enough to live in an area with a significant Jewish population, you might be lucky enough to find secular dollar stores pulling out costumes prior to Purim, knowing that they can reap significant profit. Even if not, local dollar stores often have dress up memorabilia like various dress up hats, doctor sets, and accessories available for purchase year round. I buy these just to have on hand for the dress up bin at home. If your community doesn’t yet have a Purim costume gemach, it’s time to start one! These are a huge service to the community. Due to the fact that so many families use costumes only for one year, especially if choosing to coordinate a theme, donating costumes and then being able to pick up gently used ones is a fabulous way to pay it forward! DIY costumes aren’t for every balabusta, but can be so much fun for little ones to help out with. Though they can be time consuming, making a costume from scratch means you can make a costume literally for pennies by recycling materials around the house. Papier mache anyone? I’m actually partially DIYing my son’s costume this year, and he said to me today that he’s so excited for his costume “because it’s the first year we’ve ever MADE my costume!” Getting the little ones involved in the arts and crafts just adds to the dun. Check out this link for a list of DIY Purim costumes with instructions that I’ve pulled together. This is an area in which it’s so easy to get lost in the process and become overwhelmed, spending both more money and time than we should be allotting to shalach manos. With the upsurge of family themes and the need for the perfect presentation, women are spending hours and hours searching the internet for ideas, browsing store shelves for inspiration, and then finally having to put together the bags full of supplies on which you emptied your wallet and just lugged home. And yet, guilty as charged. As mentioned, I’m learning! #1 is remember the actual mitzvah. We give mishloach manos, of two different minim or types of foods, to increase achdus and unity with our fellow Jew, and to ensure that everyone has enough food to make their seuda. Perhaps there’s someone out there who otherwise wouldn’t be receiving any mishloach manos this year – this is the perfect opportunity to extend yourself. For more information on the mitzva, Aish HaTorah’s website provides a succinct and informative summary of the related laws and reasons pertaining to the mitzva. How to we balance practicality with presentation? Keep your list of recipients in check. Sit down and think to whom you need to give rather than giving to everyone you know. These days you can mail tzedaka cards instead of food which benefit community members and still show your family and friends you’re thinking about them. These can be prepared long in advance and mailed out prior to Purim saving the stress at crunch time. Mailing out cards has the added benefit of reducing the number of deliveries to make on Purim day. Keep the contents simple. Remember there’s a requirement of only two minim, or different types of food. There’s no need to spend extra cash on food that will just need to be cleared out of the house before Pesach. Offer real food contents rather than junk food. If you’ve seen my take on the amount of candy our children are eating, you’ll understand why I generally don’t offer sweets in my shalach manos packages. I do however aim to please. Whether or not you’re baking or cooking your contents, we can make a difference communally in our families’ health by offering healthy options. For inspiration, check out this post on DIY real food theme based mishloach manos options. Related to the above section on mishloach manos, remember than we’re meant to spend more money on matanos l’evyonim than on mishloach manos. Allocating our funds properly can truly make someone’s Purim a chag they’ll remember for years to come. Wishing you a wonderful simcha filled Purim! 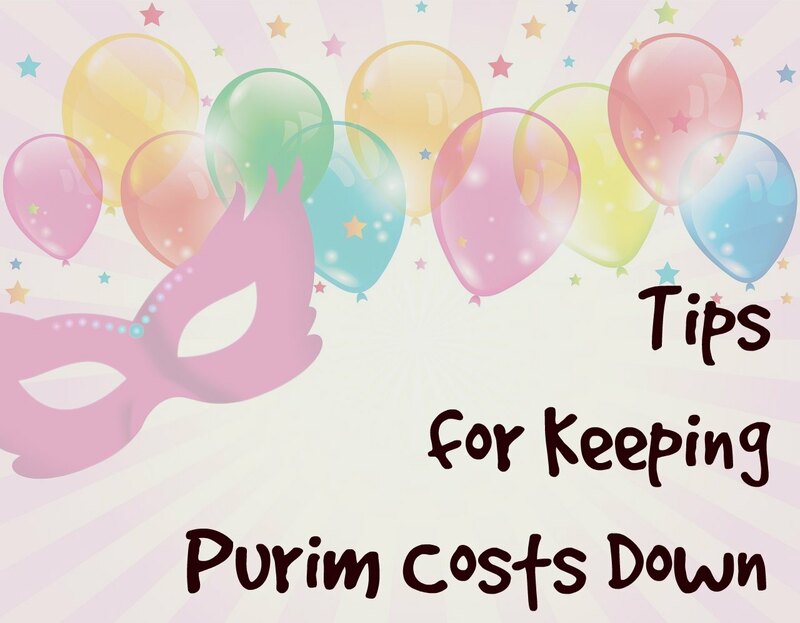 Do you have tips on keeping Purim costs in check? I’d love your input. Please comment below to offer others your wisdom! Despite having the heart of a stay and home mother, I’ve found myself having to go out into the workforce as the primary breadwinner for our family. When I completed my program last year and graduated with a what I was told statistically was a very employable career, I thought finding a job would be a piece of cake. Little did I know that statistically employable job description in this day and age would mean only a few dozen job applications being sent out before receiving an interview. To be clear, that’s 46 applications, and 5 interviews at last count. The market at the moment is a tough one for anyone seeking employment; man or woman, recent grad or seasoned employee. As mothers, women are often torn between whether to venture out into the work force, or remain at home. Depending how tight finances become, and how frugal a couple is willing to get along being, the decision is sometimes in a woman’s hands, and is sometimes made for her. Either way, if she does find herself seeking employment, job hunting is a fate that inevitably awaits her. Thus post is about simplifying the job application process so that a mother can maintain balance while seeking employment. Find someone already working in the business. Someone already working in your field of choice is not only experienced in their work, but in what a potential employer seeks. They know what skills a resume should promote and what about their cover letter caught the employer’s attention. Once you reach the interview stage, ask if they’d spend twenty minutes coaching you through potential questions. Build a rapport with this person and don’t feel shy about asking them to forward your resume out further than you’re able to reach. Network, network, network. I cant stress enough how vital this is. As a natural introvert, I’ve had to step waaaaaayyyy outside of my comfort zone here, but I’ve already seen it paying off. Reach out to anyone who knows anyone in your community and beyond, and ask if you could send them your resume and cover letter. Each time I send mine out, I add the line “Feel free to forward as you see fit,” because you never know whose eye it might catch. Friends of friends are always fair game. In my book, schlep is absolutely an avenue towards employment. Refine your resume. Research shows that employers spend less than 10 seconds scanning a resume before deciding that an applicant is or isn’t candidate material. Take advantage of resume writing workshops. Ensure that keywords match skills sought after by employers in your field. 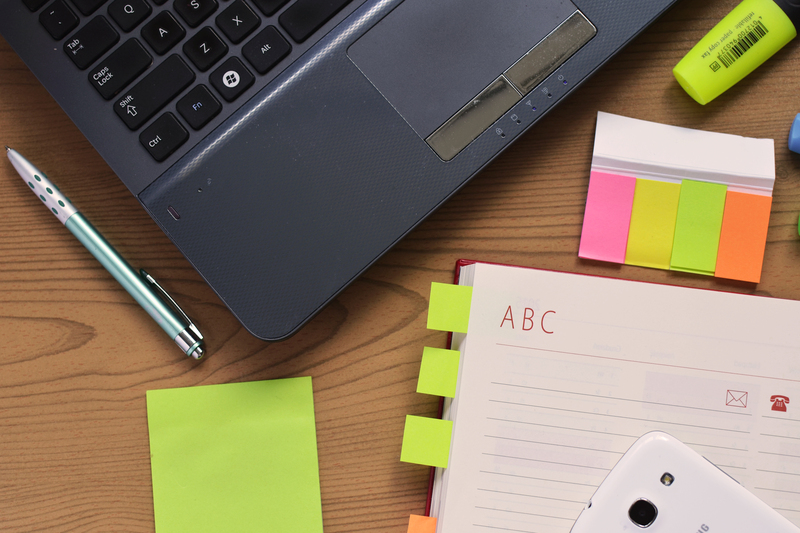 Craft a cover letter that presents the true you. When I was first job hunting, my cover letter was very to the point, detailing my qualifications as a potential employee based on my academic and employment history. Shortly after I began job hunting I was approached by two contacts who said to me that my cover letter was too manufactured and needed to tell the story of who I was. I spent some time, and decided to craft a letter that tied in my parenting history with the (quite unrelated) employment field I was entering. To my surprise, employers were interested, and it was with these new cover letters that I began receiving calls for interviews! Pace yourself. Job hunting is draining. Each job submission takes time and effort. Leafing through job classifieds often takes more time than the application process itself. With little ones underfoot and a million other things on your mind, it’s important to keep from burning out. Set a quota each week and stick staunchly to it. For myself I found putting in one good morning per wee (about five hours) has brought in slow but steady results, without leaving me overwhelmed by the process. Know your employment parameters, and hold them dearly. I recently had an interview at 7:30 am – yup, your read that correctly. It was in a great office with a respected name in my industry. I left the interview knowing however that whether or not I received a call back, this wasn’t the place for me. I am a mother first and foremost, and knew that this would not be an office to provide the flexibility I require as a mother. From this I learnt my lesson; all that glitters is not gold. My role as a mother comes first. What tips would you like to share with soon to be working moms out there? What factors do you feel have contributed to your employment? Hit comment below and let us know! I love travelling. The sights, the experience and the education all entrance me. However, I don’t go away more often than once every few years. I’ve been known to spend hours on deal sites, travel sites, flight comparisons and train fare sites, without ever actually booking. I yearn to visit the locations in the photos. I research a city’s history, its excursions and its entertainment venues. And then I close the browser windows. 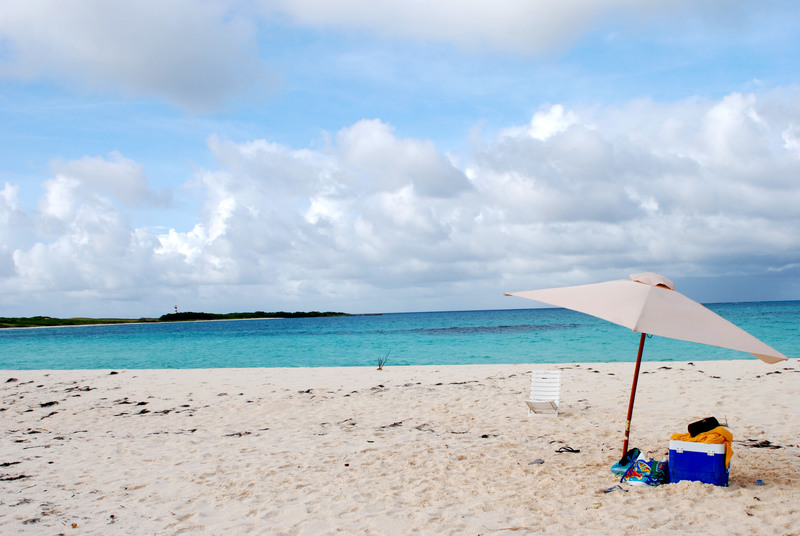 To me vacation is about getting in touch with yourself and your surroundings. Where we live in such a temporary society, with seconds whizzing by, I couldn’t bring myself to spend the money on going to theme parks. A week in paradise sounds wonderful, but then, so does the prospect of growing as a person, as a mother, as a woman. Living in America, there are so many tens of locations I would love to see. I love learning about and experiencing history, and these are the experiences I seek in a vacation. Until now I have savoured these moments in the Eretz haKodesh. There aren’t many local options in midwinter because unfortunately this is the time when travel is most difficult in cold climates. Our vacation will be spent at home. Exploring and experiencing our city’s own history. We will enjoy one another’s company, and create lasting memories together. After all, isn’t that was history is made of?